The candidates have been coming to Atlanta for over a year to raise money and fire up supporters, but they’ve only been running ads on local TV stations for the past week or so. 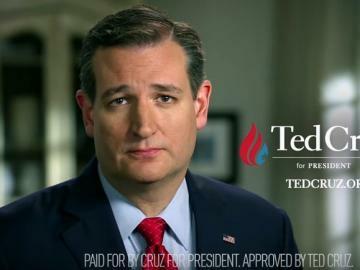 Ads for Ted Cruz and other presidential candidates have been running on Atlanta TV stations. “They come in late, because they don’t know if they’ll be around,” says Bobby Kahn. He's the former chairman of the Georgia Democratic Party and now works as a media consultant. He says Ted Cruz is the top spender among Republicans. Hillary Clinton has invested heavily in Super Tuesday ads in Georgia, while Bernie Sanders is focused on four other states. Viewers are also seeing spots from Donald Trump, Marco Rubio, and Rubio’s SuperPAC. It’s expensive. A campaign could spend $21,000 for a single ad in prime time (that's how much Clinton dished out in last week's episode of Scandal on WSB, according to a disclosure filed with the FCC). Kahn says candidates have to pick their targets, since 12 states vote tomorrow. And he says some voters outside the Atlanta area have been seeing ads for a while. Some of those spots ran on stations in Augusta and Savannah, since their signals reach into South Carolina. Nationwide, Jeb Bush remains the top spender on TV ads. Ad Age reports he dropped more than $80 million on his failed quest for the GOP nomination. If you start typing "Is Ted Cruz..." into Google, before you can even get to the C, Google attempts to auto-complete the sentence. 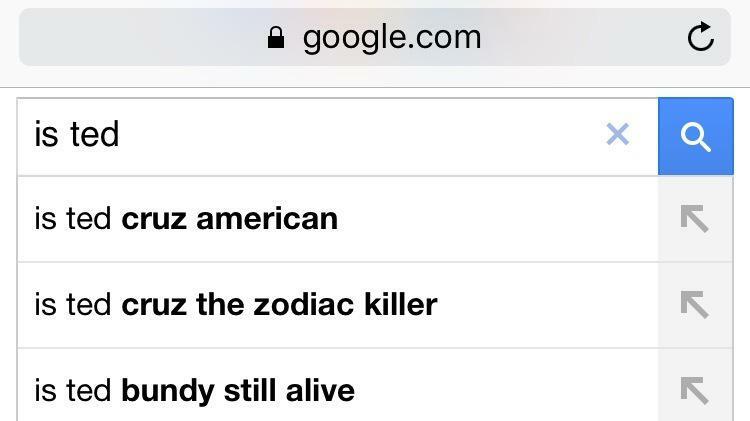 And usually, at least these days, one of the first auto-complete options is a very strange question: "Is Ted Cruz the Zodiac killer?" 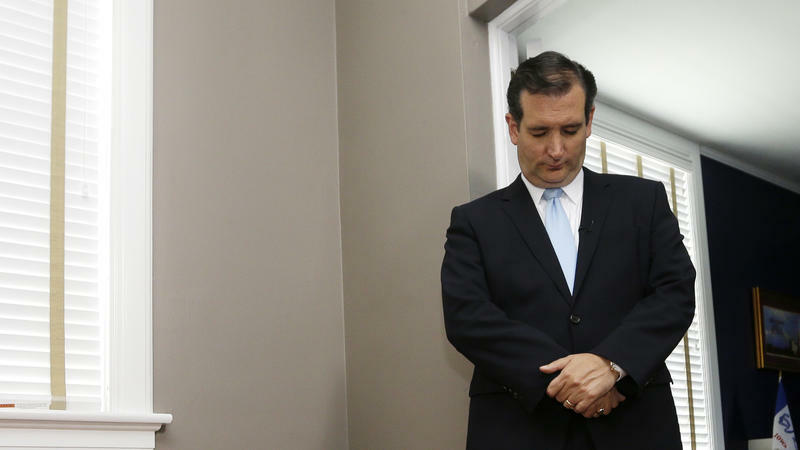 Ted Cruz is, of course, not the Zodiac killer. Really, he's not. (And we will make that point several times during this story.) In fact, there's no chance he could have been the Zodiac killer. No chance at all. The crux of Ted Cruz's campaign has long been mobilizing the Christian right to his side, working to galvanize enough evangelical voters to topple Donald Trump. The Texas senator even launched his campaign at Liberty University, which claims to be the world's largest Christian college, declaring that "God isn't done with America yet." Ted Cruz needs an awakening among his religious base for a strong showing or a surprise win on Saturday in South Carolina. In any other year in the GOP primary, the Texas senator, who talks of his faith with ease and frequently reiterates that he will defend religious liberty, might have the state's sizable evangelical vote sewn up. The voting bloc was crucial to his win in Iowa earlier this month, and religious conservatives make up an even larger share of the South Carolina Republican electorate.